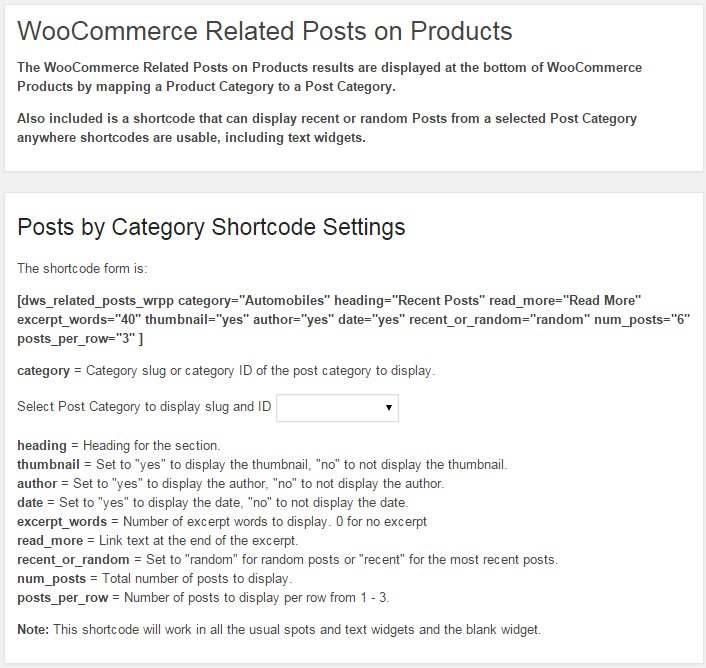 Related Posts on WooCommerce Products displays recent or random posts from a designated post category at the bottom of each product listing based on the category the product is in. 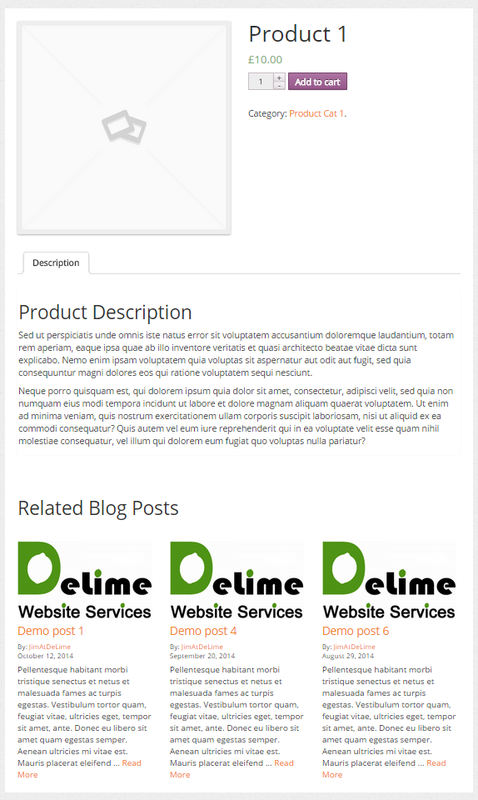 This plugin displays recent or random posts from a designated post category at the bottom of each product listing based on the category the listing is in. 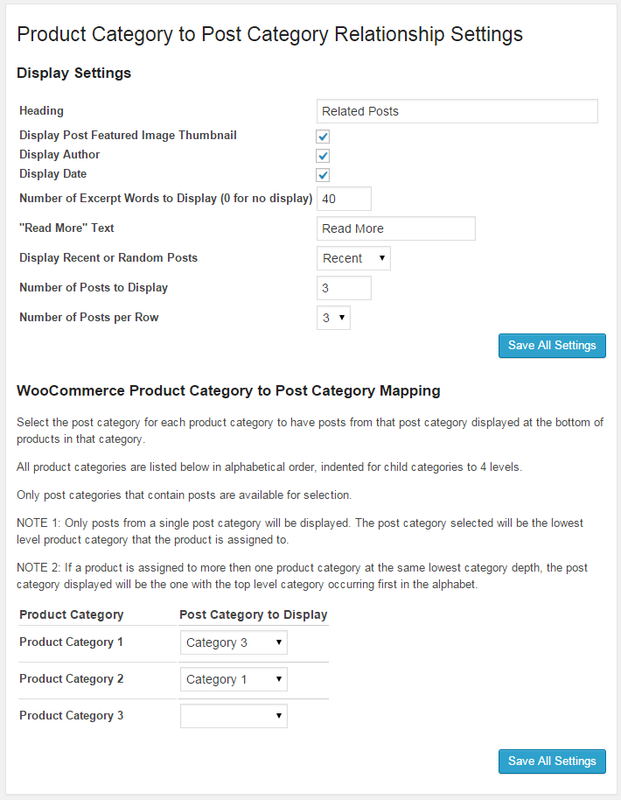 You can designate a post category for each of the product categories you want posts displayed for. Also included is a shortcode that can display recent or random posts from a selected post category anywhere shortcodes are usable, including text widgets. Only posts from a single post category will be displayed. The post category selected will be the lowest level product category that the product is assigned to. If a product is assigned to more then one product category at the same lowest category depth, the post category displayed will be the one with the top level category occurring first in the alphabet. Install the plugin and activate it. There are settings in the Products -> Posts on Products area.